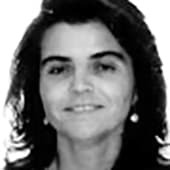 Carmen Goytre advises companies in the design and improvement of Customer Centric services. Her interest is in the impact that trends such as the sharing economy, open innovation and new technologies have in the customer experience. In this sense, her recent publications highlight the contributions of crowdfunding as a disruptive model originated in the intersection of crowdsourcing, fintechs and consumes as co-creators. Professor Goytre has extensive experience in the Process improvement, Quality, innovation and transformation fields using Lean, EFQM and ISO 9000 models in the Financial and Consumer Goods industries.She leads projects primarily in Customer Contact areas, both in digital channels as well as presential . Other areas where she has implemented projects are Mergers & Acquisitions, Strategic Business Transformation, Credit, Customer Loyalty and Delinquency. MIT Sloan. Teaching Assistant Professor Shoji Shiba. Total Quality Management.